The winner of the Proctor Bronze is ticket number 1115407 from Dayton, Ohio! This year, in addition to our car raffle, we add as a second raffle drawing a posthumous cast of Alexander Phimister Proctor’s Sleeping Lion. George D. Pratt, New York art patron, purchased bronzes from Proctor beginning in 1909, and thereafter became close friends with the artist. Pratt acquired works for his personal collection and for the Brooklyn Museum of Art. 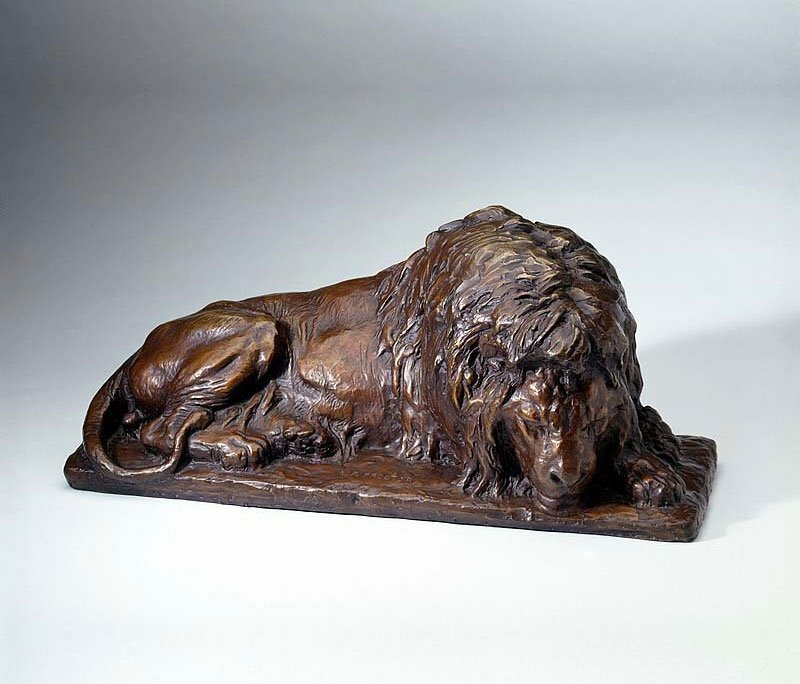 In 1912, Pratt commissioned a marble relief of a lion for the Brooklyn Museum of Art. This posthumous cast of Sleeping Lion is number 1 of 24, done in 1989. It was graciously donated by the A. Phimister Proctor Foundation and Museum with special thanks to Sandy and Sally Church. The drawing takes place at our 42nd Annual Patrons Ball on September 22, 2018, but you need not be present to win. Proceeds from the Center of the West’s raffle go to support the programs of the Center. Tickets for the sculpture raffle are $10 each or 6 tickets for $50. Need not be present to win. Any applicable taxes are the responsibility of the winner. Void where prohibited by law. Must be 18 years of age or older to enter. Raffle tickets are not tax deductible. Click here for all Raffle Rules.